I look forward to my monthly massage with Holly, which contributes so thoroughly to my physical and mental well being. Holly is very attuned to what keeps her and her clients feeling good. She was recognized in Town & Country magazine as one of the country’s top practitioners in the area of beauty and wellness. Holly is wise. She is on to something. Many people are realizing that luxuries like time and friendships are more rewarding than so many of the things we acquire as we move through life. It is part of a larger shift in society where people, young and old, are valuing experiences above more material pursuits. I’m not just speaking for myself when I say I don’t need ‘things’ to define me as much as I felt I did when I was younger. Holly inspired me to pull out a needle and thread to mend a tear in one of our favorite bedcovers. As I was sewing, I looked up at our headboard, which is upholstered in vintage, beautifully-stitched Japanese textiles from Sri Threads. The concept of mend don’t spend has been with us for centuries. Stephen Szczepanek is the founder of Sri Threads, a textile gallery in Brooklyn, NY. 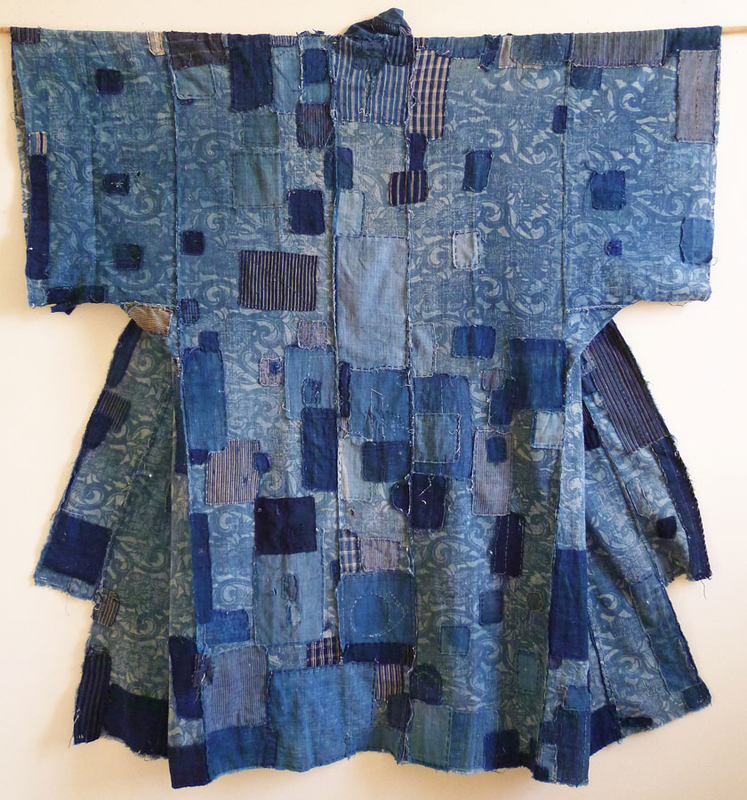 He is an artist who has devoted the last decade or so to studying and collecting Japanese boro textiles — antique fabrics that have been patched and re-patched with a degree of artistry where they are now sought after as collectible artworks. 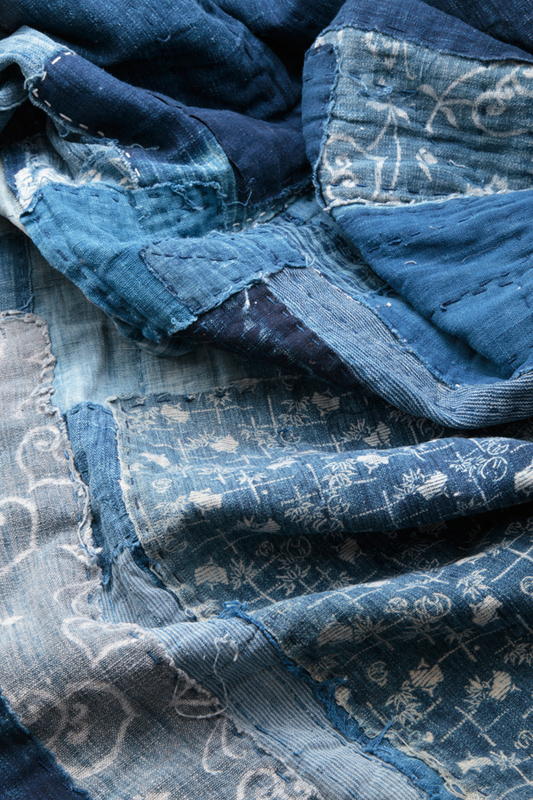 “Aside from having little material wealth, the women who crafted this every day cloth knew how to extend its life, using ingenious mending and stitching techniques to transform, for example, clothing into bedding,” Stephen says. 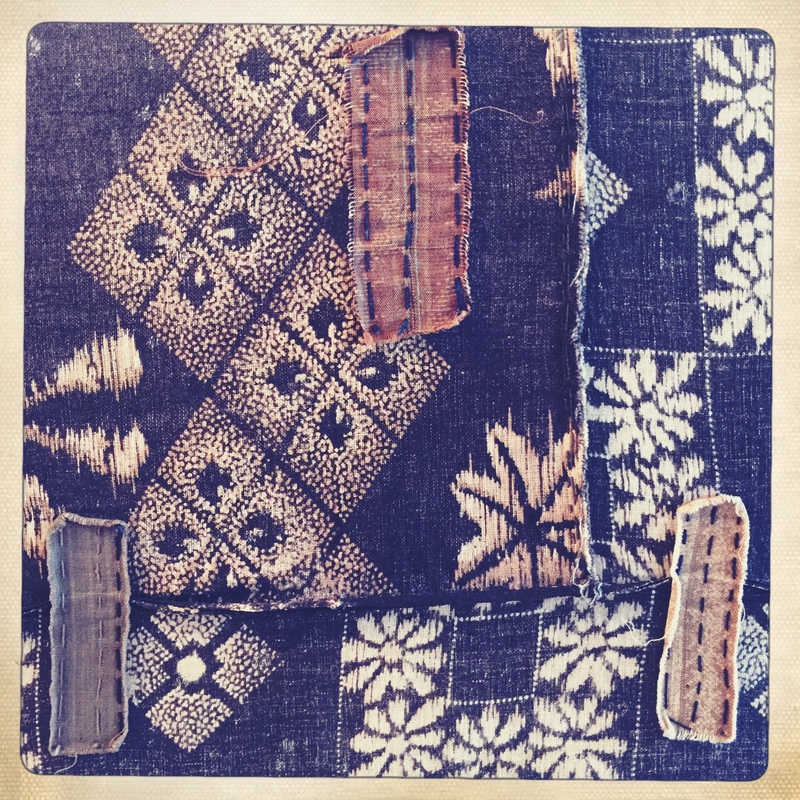 Antique textiles from Stephen’s collection have been exhibited in museums internationally including the Museum for East Asian Art in Cologne and the Museum of Design and Fashion in Lisbon. Stephen reminded me that activity of mending and recycling textiles was not unique to Japan but global, including the long tradition of American quilting. 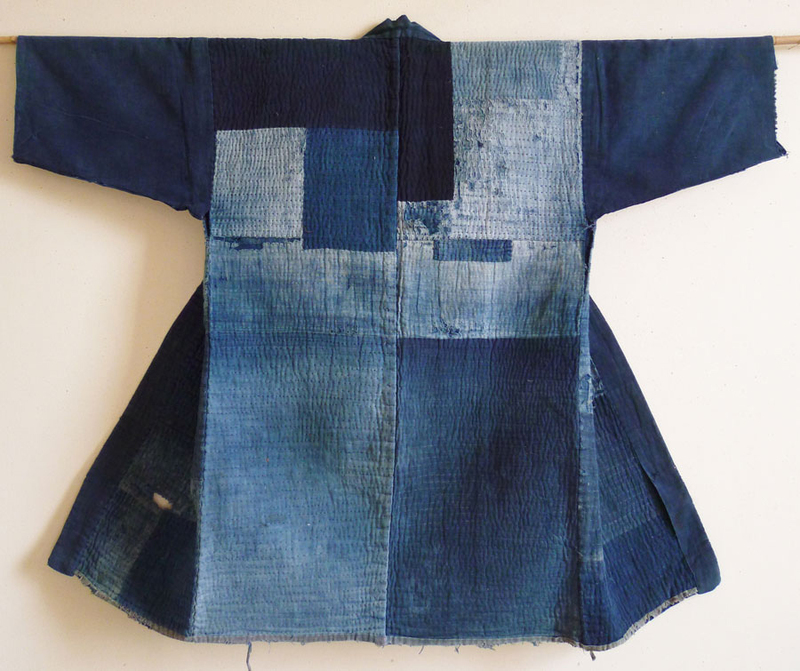 Because Japan’s feudal culture prevailed into the late 19th century, Japanese boro textiles were commonly found until recently. 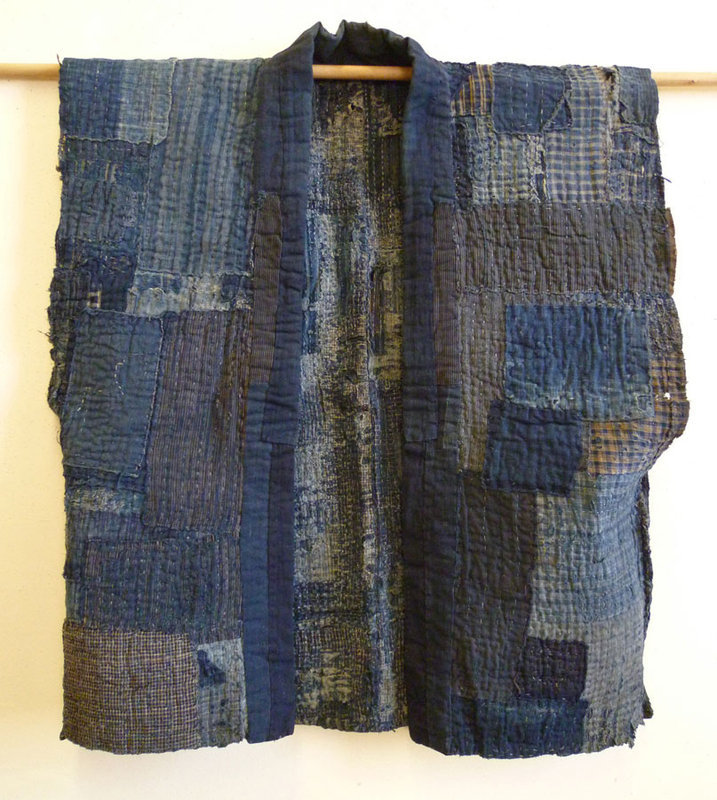 Many cultures have these traditions of re-use and repurposing textiles. 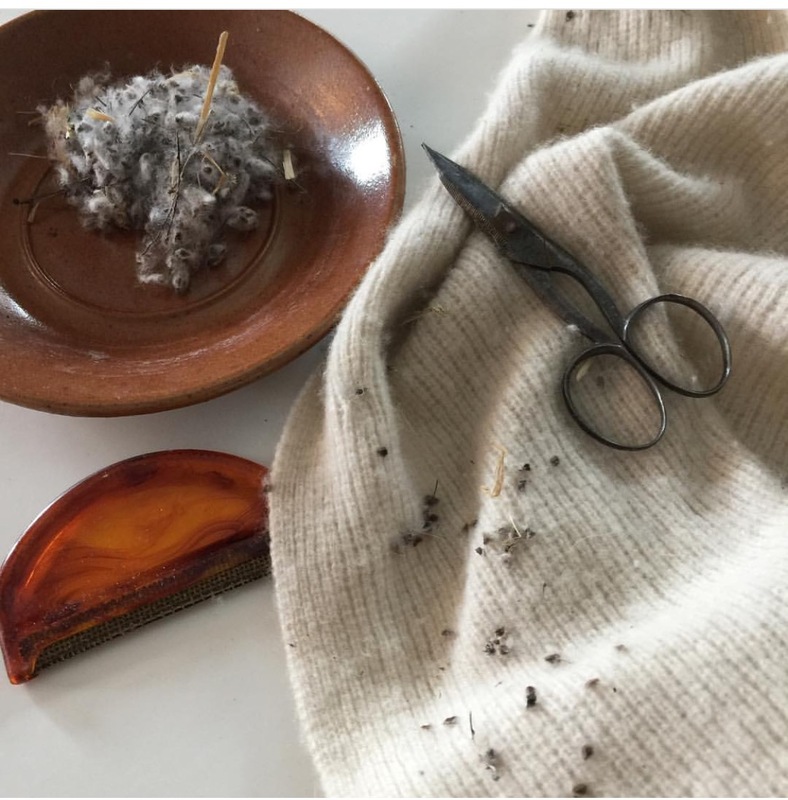 “Boro textiles are a study not only in frugality but they are also a lesson in conservation and mindfulness–they can teach us to more fully appreciate what we already have,” Stephen says. 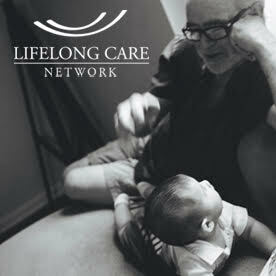 For me, the act of mending provides moments for reflection. I am present, not rushing off somewhere or lost in the world of my phone. 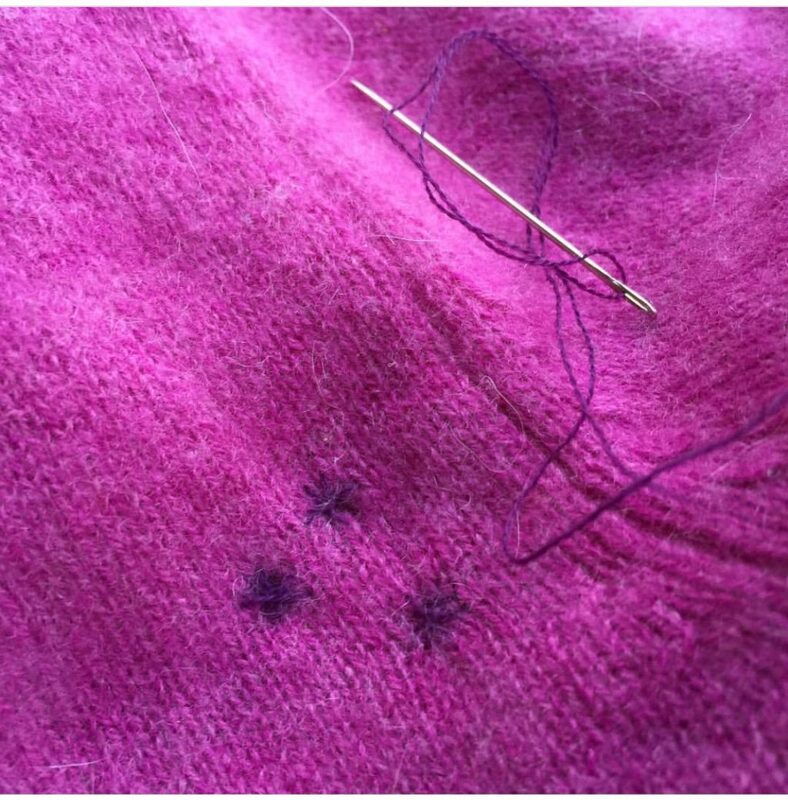 Mending is a lost art for many people. We read recently that the thimble, having lost its relevance in our culture, was removed from the game Monopoly. My mother’s well worn thimble is an object that is dear to me because it is a link to my past. It is also a symbol of a slower, more deliberate way of life. So, I will continue to mend not spend — it helps me to save for the future, and to honor the past. On the blog of the Cooper Hewitt, Stephen shares his knowledge about the recycling practices that were deeply embedded in Japanese folk culture. See below for more exquisite textiles from the Sri Threads collection. Great post! I too, have been on a ‘mend, don’t spend’ kick. I realize I have so many lovely things in my closet, many are timeless and unique. I have even had silk fabrics in a favorite dress rewoven (though quite pricey – I’m spending a bit there!) when I discovered a little hole in it. Really love this concept of looking after our most loved things. The headboard is really unique!